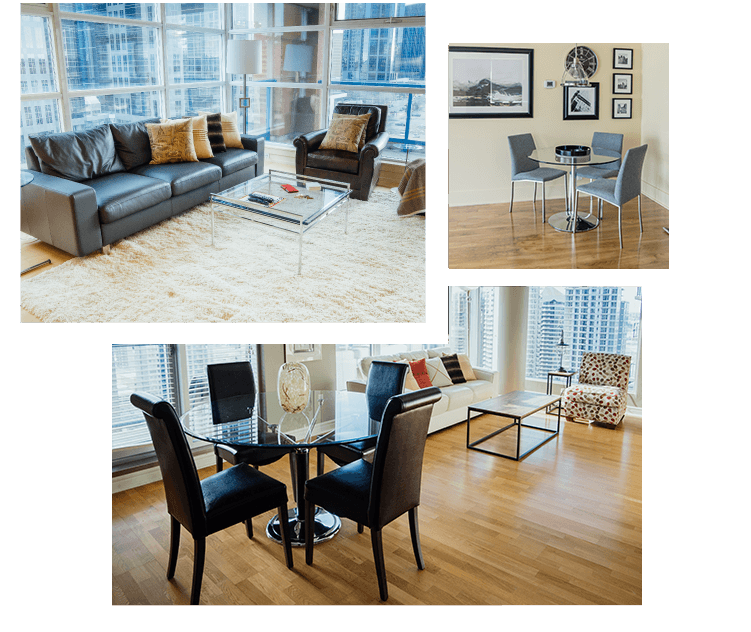 Looking to stay in Downtown Calgary? Fill out the form and we’ll contact you with the perfect suite for you. We rent nightly, weekly and monthly! Our stylish suites are available for long or short term stays. Offering guest furnished and fully equipped suites that include all the comforts of home. Exceptional service at competitive rates to make your stay with us a worry-free and enjoyable experience. Call 403-229-9155 or email us to request more information on our suites. Celebrate the holidays in Calgary with our 1 bedroom holiday promotion. Book your stay in any of our fully furnished 1 bedroom suites for only $600/week! Call us today at 403-229-9155 to book your suite today. Some terms & conditions apply. You provided a beautifully furnished suite where I felt comfortable and more importantly felt safe while filming in the city. Thank you for arranging our stay at the Riverfront suite in Calgary. The suite was perfect, provided all that we needed and CLEAN CLEAN CLEAN. We have stayed in numerous short term rental suites and your service was one of the best. Your quick response to our calls, careful attention to details, and capacity to meet our needs/wishes was so appreciated. I had a great stay and found the suite well equipped, well located and good value for a great adventure at Stampede. I really appreciated your patience and very practical advice. I have already recommended the suite to some friends! Our guys greatly enjoyed the time they spent in Calgary. The suites had all the comforts of home and the location was great!